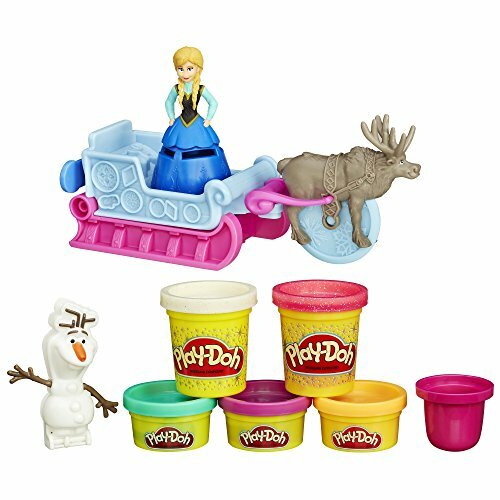 This is a darling gift set for little girls that love Princess Anna from Frozen. 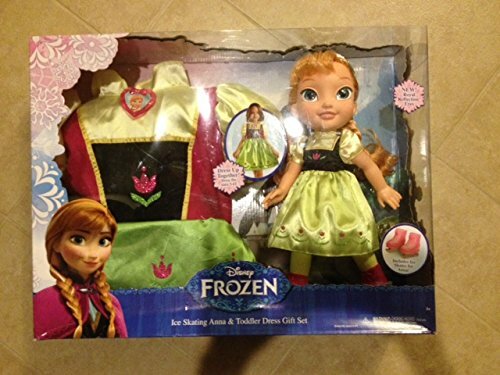 The box includes an Anna doll with "royal reflection eyes". Anna is wearing a pretty yellow dress with a navy blue top. The dress and top have Norwegian-style floral details. Anna is also wearing a pair of pink ice skates. This gift box also includes a matching dress for toddler girls sized 3-4T. The toddler dress matches the dress that the Anna doll is wearing. 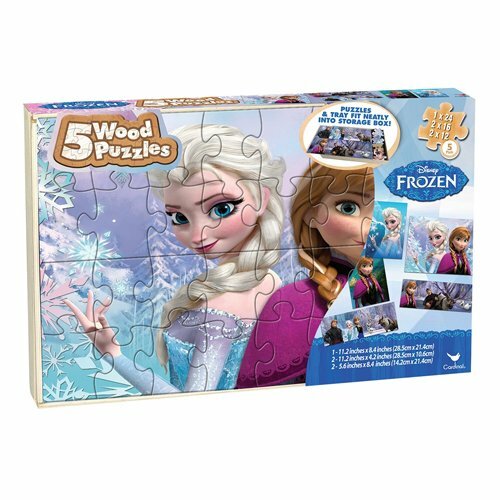 This is a perfect gift set for little girls to play dress up with Anna from Frozen!